I enjoy making these floral cards. I've never sent one through the mail, so generally the recipients of these cards are local. 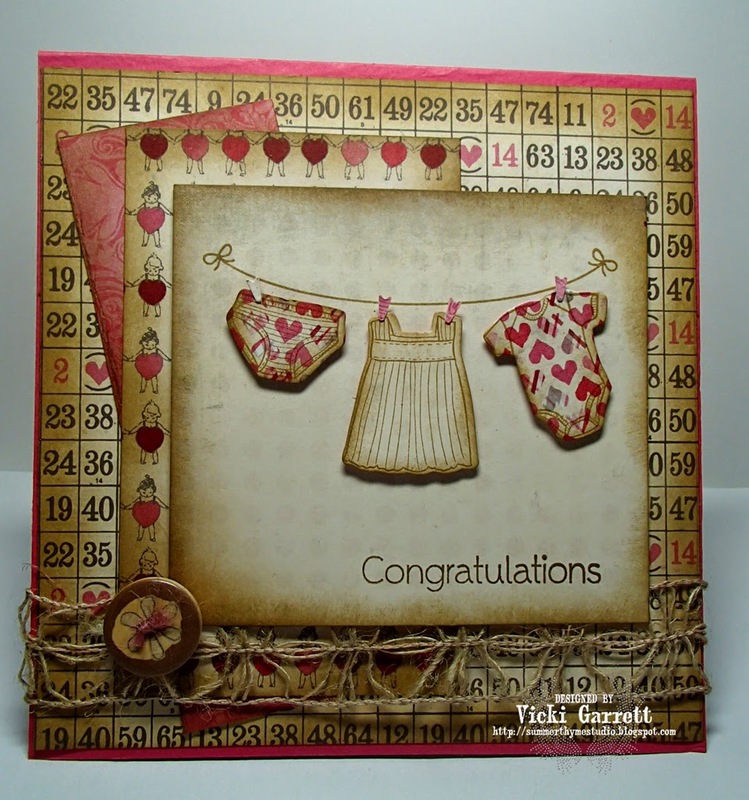 This card is quite similar to the Birthday card in that I used the Prima Seashore collection. What differs is the colour combination. With this care, I focused on the earth tones, rather than the blue. The sentiment is from the Hydrangea Cling Set, which also has matching Hydrangea Dies! 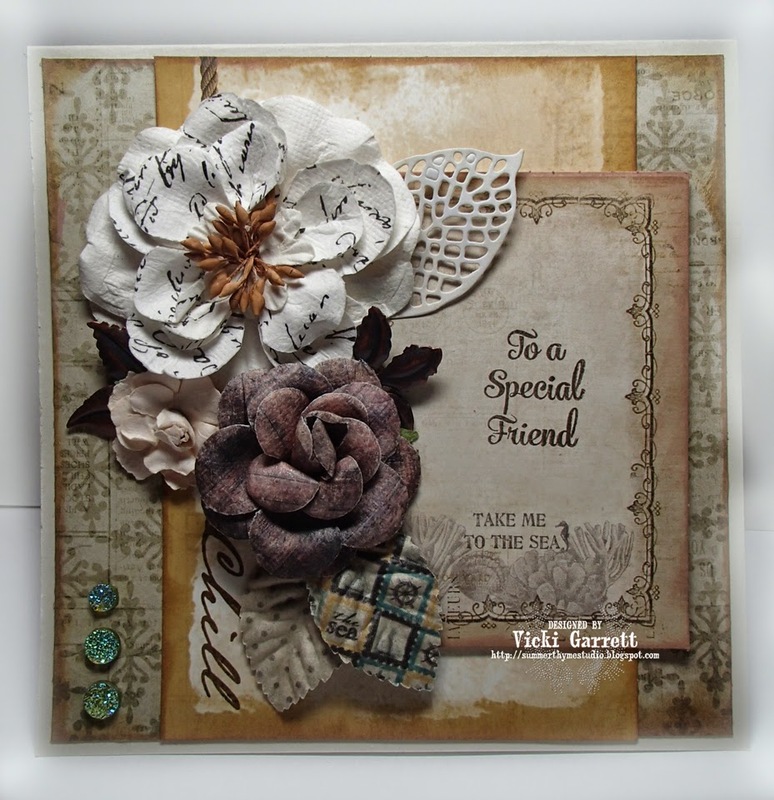 I used this fabulous Sketched Roses CaC stamp masking out an oval for the sentiment. 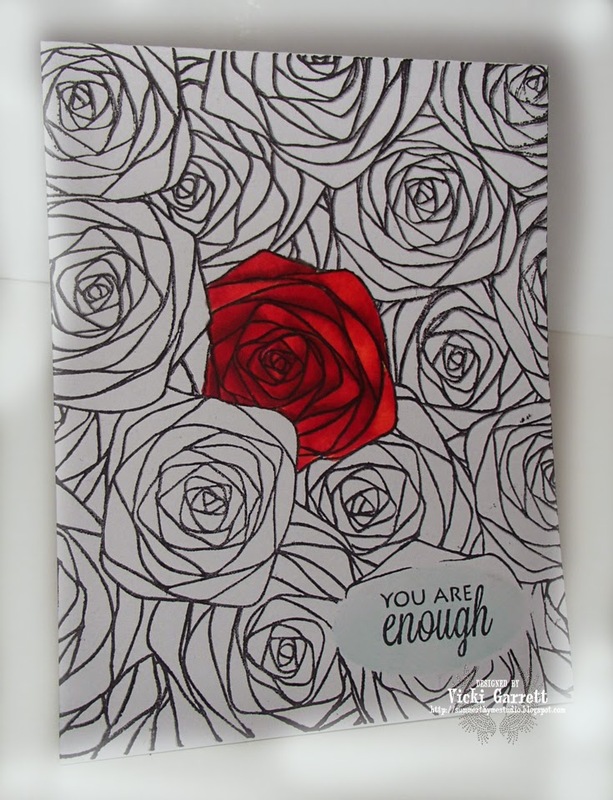 Don't forget- You are Enough! Oh my gosh, with my first two projects, I got my feet wet. I was quite happy with the chair and the frame and so with this one, I dove right in! 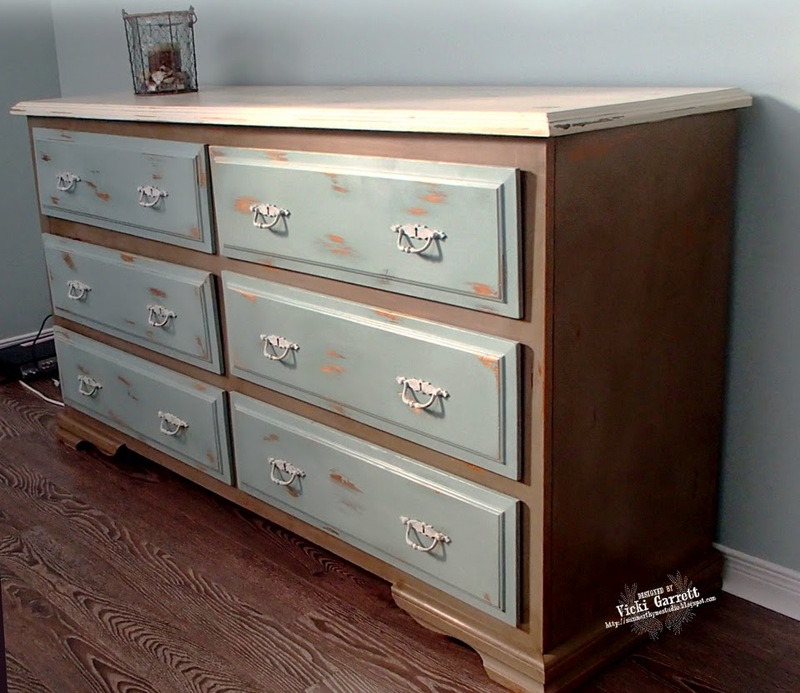 I forgot to take a before picture, but the dresser was essentially a knotty pine..kind of blah! I'm really enjoying the ease of the application of the paint and the results that I'm getting. 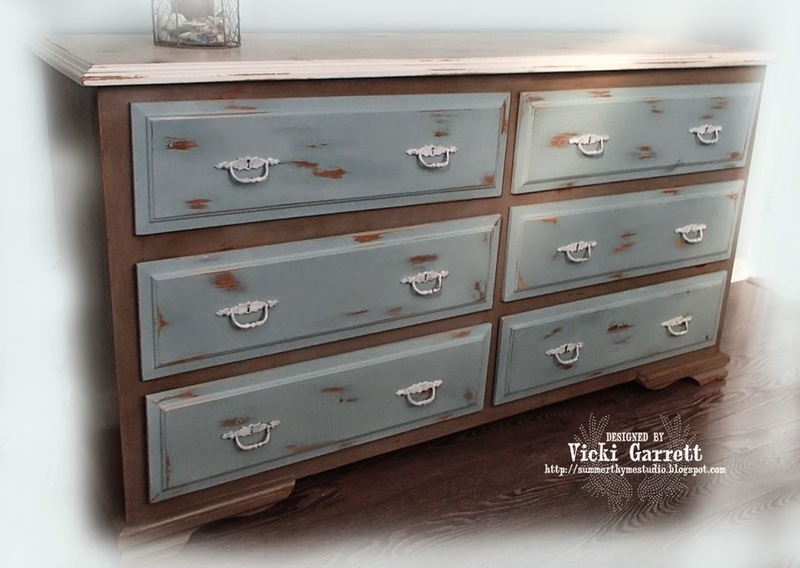 I'm currently working on my bedside table and am looking forward to sharing with you! 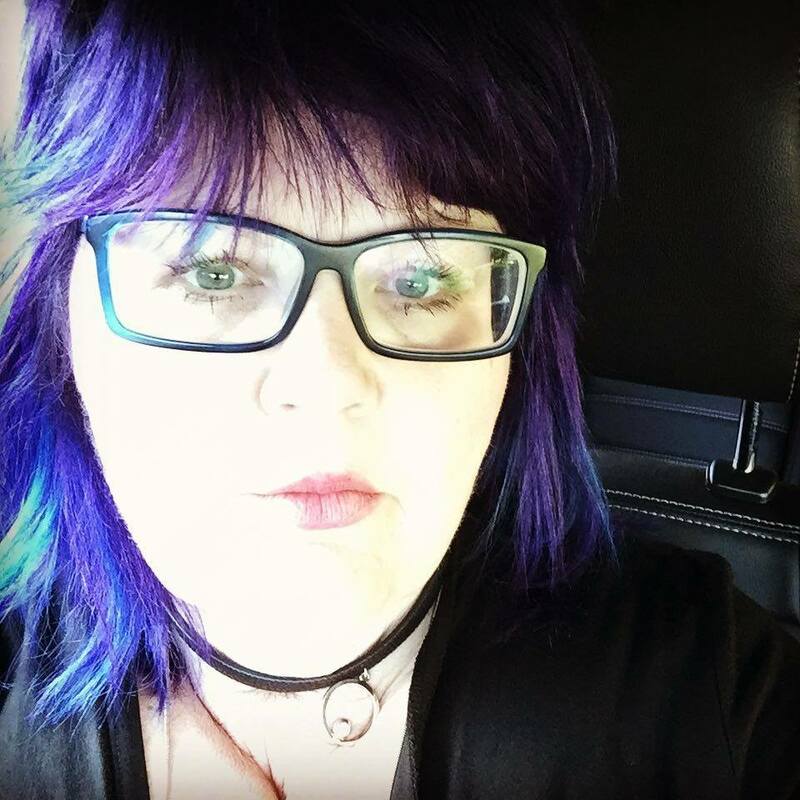 Impression Obsession Designer Challenge-You Did it! Good Morning and Happy Spring! Although we are expecting snow today, I'm am positive that spring is on it's way, as you can actually see patches of grass through the snow. I've spotted some pretty chubby Robins kicking around and have seen some Ducks floating it bits of thawed sections of ponds and on the lake. That makes me super happy! Today's challenge is to create a celebratory card, perhaps a card of accomplishment, like a graduation or a job promotion. A wedding card would be appropriate or in my case, a baby card! I hd some Recollections Valentines Paper kicking around and used some Crumb Cake Ink to distress it a touch. Hemp Ribbon Border and Button are by Prima Marketing!